To look at the S9+, you’d be hard pressed to tell the difference from last year’s S8+, except for the new twin-camera setup on the back and the better fingerprint sensor position. Yes, it is an iterative update, but when you consider how most other Android makers are still catching up with Samsung’s technical juggernaut, that is no bad thing, especially when you consider what Samsung has been adding to the mix this time around. other innovations, such as Super Slow-mo recording, AR Emoji, and an upgraded version of Samsung’s maligned Bixby AI assistant. Aside from the S9+’s twin camera lenses there’s little difference between the big and small models (the S9+ has a touch more RAM and storage). 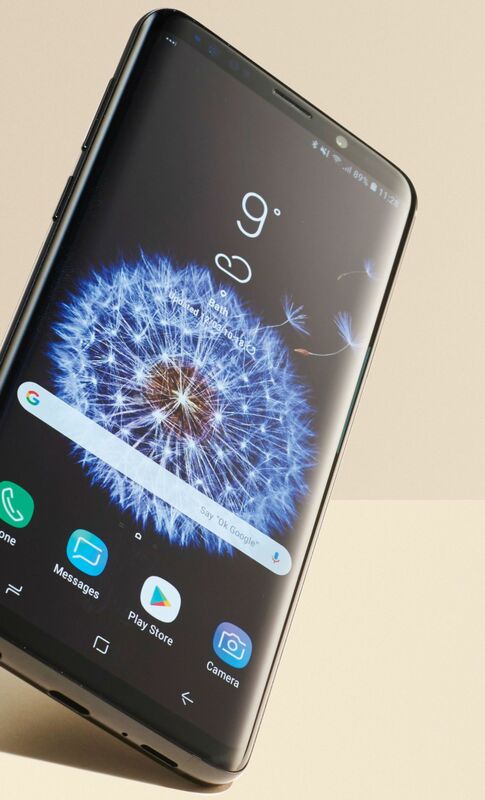 The same luxurious and premium melding of metal frame and glass is in evidence across both models, though if you look closely you will see that the bezels are slightly reduced from the S8’s, making the S9 a bit shorter. The other major difference is the relocation of the fingerprint scanner, which looks better and makes it far easier to unlock the phone while also avoiding smudging the rear camera’s lens (a common complaint last year). Other than that, much has stayed the same. 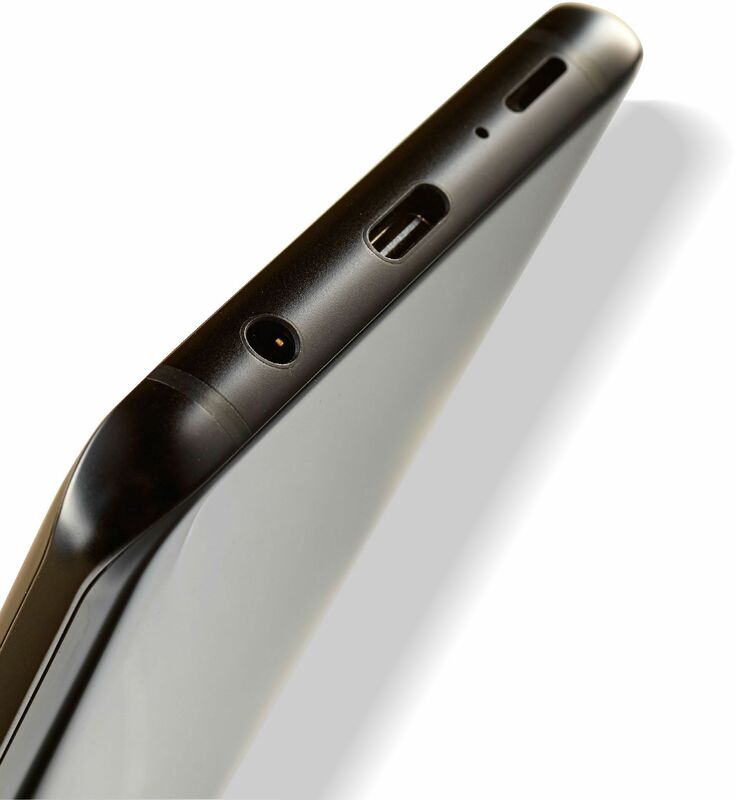 The S9+ still has a 3.5mm headphone jack, microSD card slot (accommodating up to 400GB), and Bixby button on the left side of the device near the volume buttons. 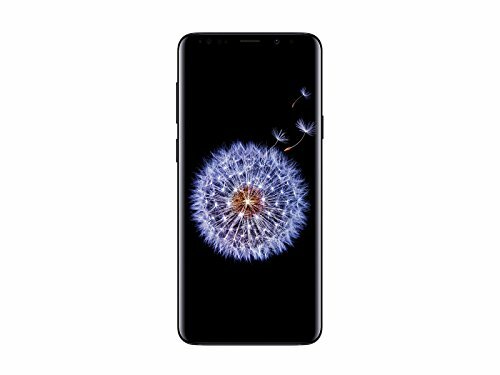 The S9+ screen is the same delicious 6.2-inch display that featured on the Samsung Galaxy S8+ and, yes, it’s still drop-dead gorgeous and pin-sharp – images, games and media really jump out of the screen. While the screen itself isn’t new, Samsung has tweaked the operating system’s landscape mode so that the entire user interface now rotates to fit the widescreen format, enabling you to easily respond to messages and post to social media while still enjoying video. It’s fast, too – games load quickly and run smoothly, 4K, HDR films and TV shows look stunning, and using and switching between apps is seamless and delay-free. Though the S9+ has two cameras and the regular S9 has just one, they both share Samsung’s new 12MP system with dual-aperture tech, designed to deliver enhanced low-light and bright-light image and video taking. The S9 is built slightly differently to the S8, but you couldn’t really tell at a glance eye – similar to the way dedicated cameras work. This means that the S9+’s camera automatically lets in more light to its sensor when the surrounding environment is too dark, and then less light when it’s too light, leading to fewer images that are blown out or too dark for fine details. The camera system is also now capable of recording Super Slow-mo video at 960fps at 720p, and 240fps at 1080p, with both modes also packing Motion Detection. Thanks to this tech the camera automatically starts recording when it sees movement. We’re really impressed with the quality of slow-motion footage captured, as well as the accuracy and speed of the motion detection. The cameras are also key to two big other innovations residing within the phone: AR Emoji and Bixby Vision. The AR Emoji feature is not a million miles from Apple’s Animoji feature on the iPhone X. With AR Emoji you can record yourself in front of the camera, with your actions then translated to a 3D avatar, which you can style up with various clothes and accessories. It’s gimmicky but fun – kids will love to play around with it, at least. Elsewhere, Samsung has beefed up its AI assistant Bixby on the S9 and S9+. Bixby now has a live translation mode that enables you to point the phone’s camera at a piece of foreign text to have it translated right in front of your eyes. We’ve tried it with a wide selection of languages, including Spanish, Italian and Japanese. It’s worked well – it’s fast and the quality of translation is good. feature isn’t powered by the phone itself, so you need a data connection to make it work – if yours is weak, the speed will become a lot spottier. Bixby Vision is location aware and also allows some AR information to be brought up about foods, monuments, locations and more by simply pointing the phone at the thing in question. It’s clever, but not essential. The battery got us through each day during our intensive usage testing period, with 25-50 per cent of the battery remaining, so even taking into account some degradation over time this is a solid battery life. Hopefully we might see some progress in the future, though. 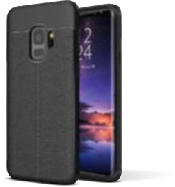 If you want the best all-rounder case for your new S9, you’ll want the Attache’s tough TPU build, premium design and aesthetic, and slim and lightweight finish that makes it super easy to slip into a pocket. 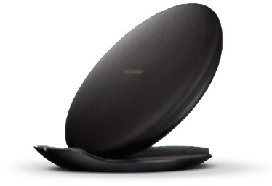 This Qi charger outputs higher power levels than previous models, which the S9 uses to charge wirelessly about 50 per cent faster. It even has a built-in battery pack. 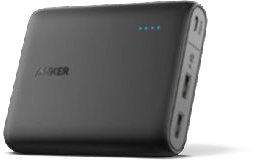 This portable battery back has a fast-charging port for speedy juicing and can charge even an S9+ roughly two and a half times. Two USB ports make it flexible, too. Oh, and turn to p44 to find out how to get one free! The S9’s screen is the same high-res AMOLED screen as found on the S8, except that it’s a little brighter – handy in sunnier conditions. patch on a proper wired Atmos setup, of course. Dolby Atmos audio isn’t just restricted to compatible video encodings, though. You can select the mode to enhance any standard audio or video file you want. When you turn this on, definition and volume are improved from the built-in speakers, as well as a degree of depth, but it makes little to no difference in terms of the position of various musical elements in music. We mentioned that the fingerprint scanner is easier to use on the S9+, and it’s just as fast as before for unlocking. You can also choose to use Samsung’s Intelligent Scan system instead. This system combines facial recognition and iris scanning to unlock the device. It’s convenient, but Samsung doesn’t allow you to use it for Samsung Pay, so it still seems to be a work in progress when it comes to solid security (unlike Face ID on the iPhone X). Using these more exotic security systems requires a back-up PIN code or pattern to be set, and you can mandate that this must be entered after the phone restarts. The S9+ comes with Android 8.0 Oreo, with Samsung’s own lightly- skinned TouchWiz UI on top. These run at an absolutely lightning speed and make for an incredibly slick and rapid user experience, with super-smooth navigation and app loading. It’s still right at the front of the pack – the slickest Android experience you can get, really. That applies to both the S9 and S9+. Of course, there are a few caveats to purchase. Firstly, the S9+ is a big, big phone and, well, you’re going to need big hands for it not to look and feel unwieldy. Obviously the S9 is a lot more manageable, but you’ll have to balance that pro against the fact that it only comes with a single-lens camera – that makes the S9+ more flexible for framing perfect photos. Following on from that, the S9+ is a not-inconsiderable £130 more than the regular S9. If you want the extras that it offers then great, but maybe you’ll want to save that cash. S9 comes with 64GB after all, which is plenty for most people, and you can cheaply and easily buy a microSD card to expand that. If you want the best Android phone on the market right now, the S9 and S9+ are our picks – just choose whichever model suits you best. They may only be a small change over the S8, but they’re excellent refinements that make a big difference. Truly, this as good as smartphones get in 2018. Probably not enough of a leap forward for S8 owners to upgrade.